December has finally made its way into our lives, and we can imagine the number of weddings, parties, and events you have to attend (yay!) Have your outfits ready but are running short on beautiful jewellery to compliment them? Bellofox is your one-stop destination for all kinds of ethnic-fusion earrings & danglers at a pocket-friendly price. Let’s take a minute to appreciate how statement jewellery can add elegance & class instantly. The festive season calls for so many such occasions, and we found you a place you can score some amazing jewellery from. Bellofox, is all about stylish, chic jewellery starting at INR 207. We have been crushing on their range of danglers that are available in ethnic design as well as sleek pieces, perfect to rock the party look. For all you women out there who are always on the go and don’t like layering your jewellery— you must check out their collection. Best part? Their jewellery can be paired with both plain and solid kurtis or even contemporary outfits. These are apt for Indian weddings and all those over-the-top cocktail parties! They also have a stunning range of sunnies, that’ll help you sport any trendy look without any effort. We loved the Crescent sunnies, Oldham sunnies & Charleston sunnies for their different shapes and tints. 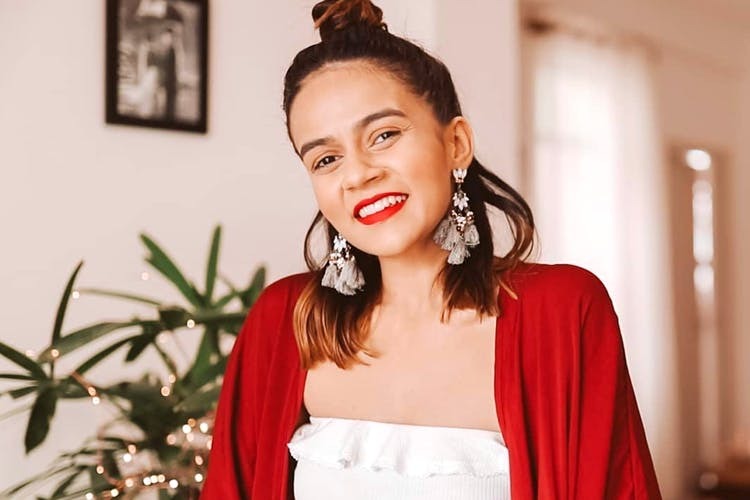 We have spotted Bellofox on a couple of known faces such as Neha Pendse from Bigg Boss and internet sensations such as Komal Pandey, Kusha Kapila and Dolly Singh. You can order via Whatsapp or simply log in to their website and call for your favourite pair of danglers. They are also running a crazy discount on all their sunnies & earrings, so now’s your chance to swipe that precious plastic and get a killer deal for yourself. Happy shopping, folks! Visit their website to know more or follow them on Facebook & Instagram to stay updated.